Conscious of the natural treasures the Guérande peninsula's Salt marshes produce, people have come together to work within a complete field devoted to these exceptional resources! In addition to salt, Guérande Salt marshes hold plenty of other natural resources: Mother-Waters, plants, algae, clay, and more. Despite the treasures they contain, these resources have not previously been exploited. 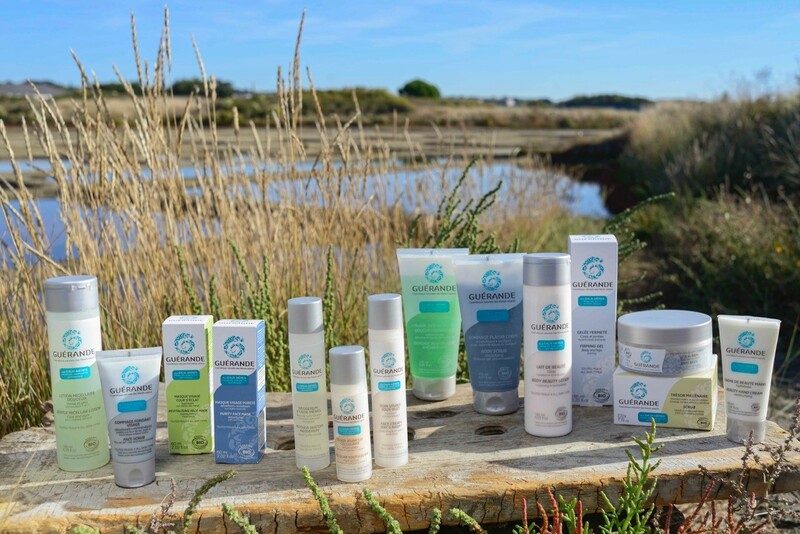 Guérande Cosmetics has created a new field, harvesting these natural resources to extract the active cosmetic ingredients, while respecting this unique ecosystem’s balance. to conceive, formulate, test and produce Guérande Cosmetics. Through several years’ research, both in the Guérande Salt marshes and in the formulation and test laboratories, we have identified and characterized our active ingredients, and incorporated them into our cosmetic's formulas. We respect nature throughout our processes, from the original natural environment to product manufacturing. As an expert in natural and organic cosmetics, our laboratory selects active ingredients and materials, then designs innovative formulations that are produced using environmentally-friendly methods. All Guérande Cosmetics are developed and manufactured in France and are also certified organic.